Sarah is holding a link up for your favourite tutorial, or recipe to use while stitching or technique. 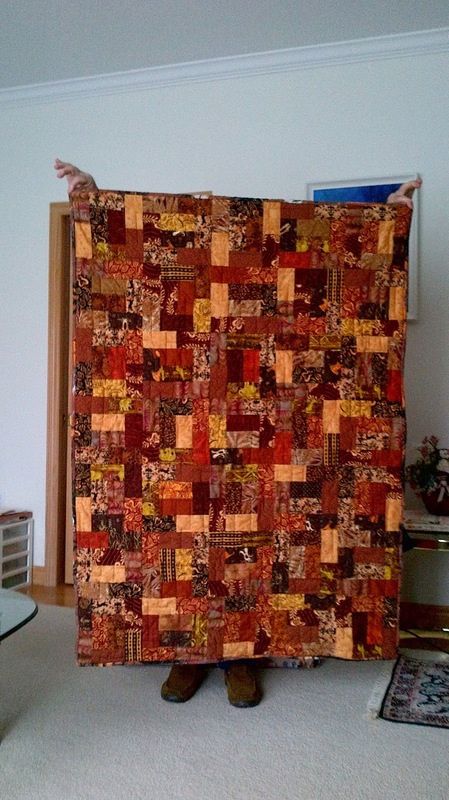 The photo above is a simple attempt to explain my absolute favourite go to block for a community out reach quilt. The block is made using bricks. The ones in the photo are 1 1/2" by 2 1/2" but you can use any size brick...2 1/2" by 4 1/2", or 3 1/2" by 6 1/2". 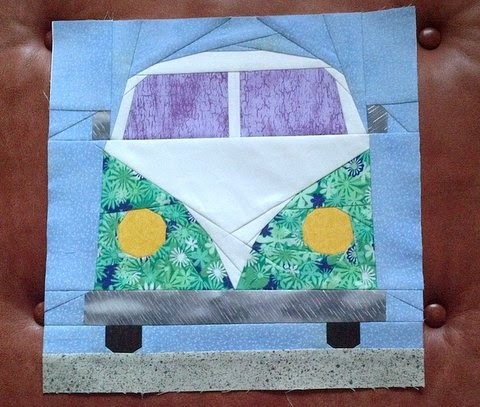 Some of the reasons I like this block for community outreach sewing is that it is relatively easy to organize a kit. All pieces are cut to the same size. As you are sewing it is self correcting. When the blocks are assembled into rows they are set so that the centre pair is vertical then horizontal and the repeat. this means there are very few places where seams have to meet. a bonus for some stitchers. 1 Sew two bricks together along the long edge of the brick. 2 Add a brick to the top and the bottom of previous piece. 3 Sew two sets of bricks together on their short ends. 4. Add these pieces to the sides of your step 2 piece. I like to start with a big pile of bricks and then I can scatter the colours through out the quilt. 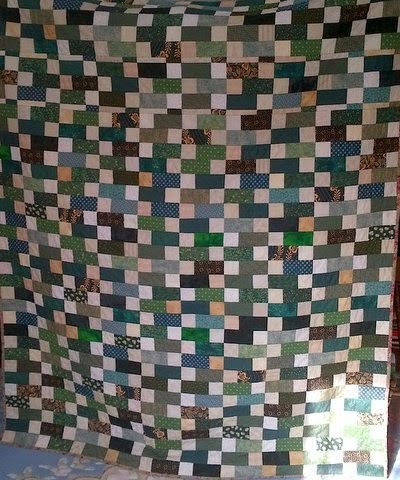 This one will be a wild a crazy one but they can be made in just about any colour arrangement you could imagine.The quilt below was made with 2 1/2" by 4 1/2" bricks. Spring must be in the air although from the snow on the ground and the current temperature you would NEVER know it. 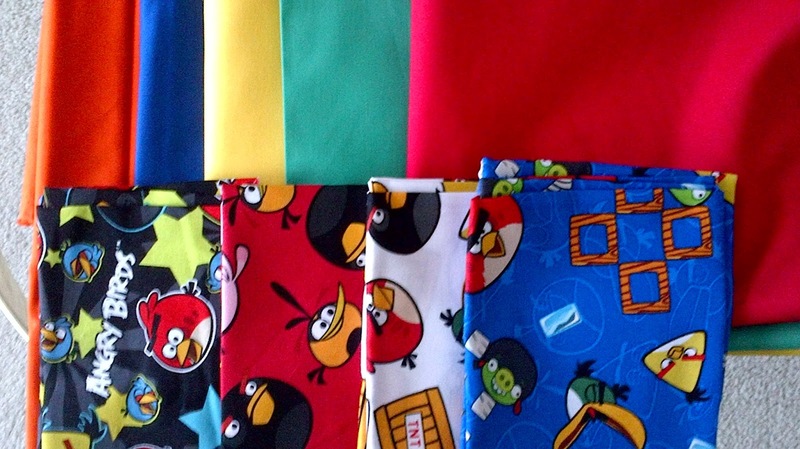 Sarah over at Confessions of a Fabric Addict (here) has started her Hands to Help challenge. 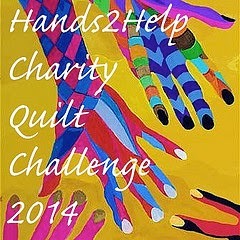 Please consider how you can turn your quilting talents into something to help someone who is less fortunate or who might be ill. Sarah has identified three specific charity groups for the challenge but has also left it open for other options, especially for those of us who find putting a quilt in the mail to another country a problem. I am making slow but steady progress with this sew along. 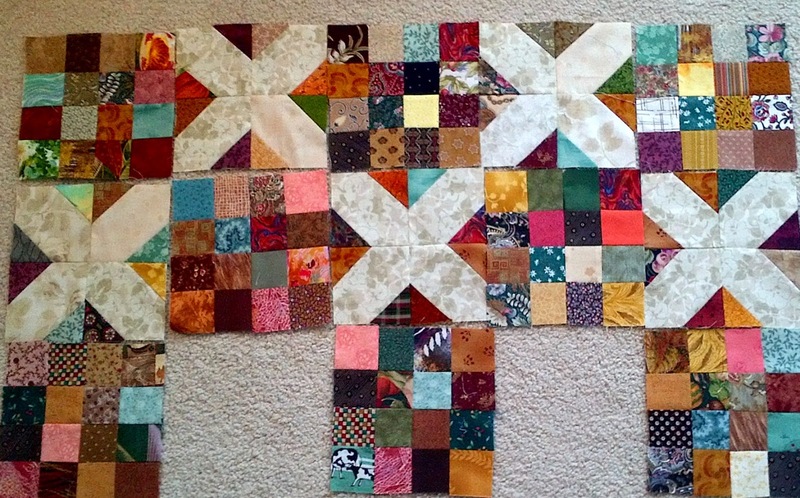 I have many more 16 patch blocks done than I do the in-betweens. I have been assembling them as leaders and enders so sometimes it takes a while to have the variety one wants for a scrappy quilt.